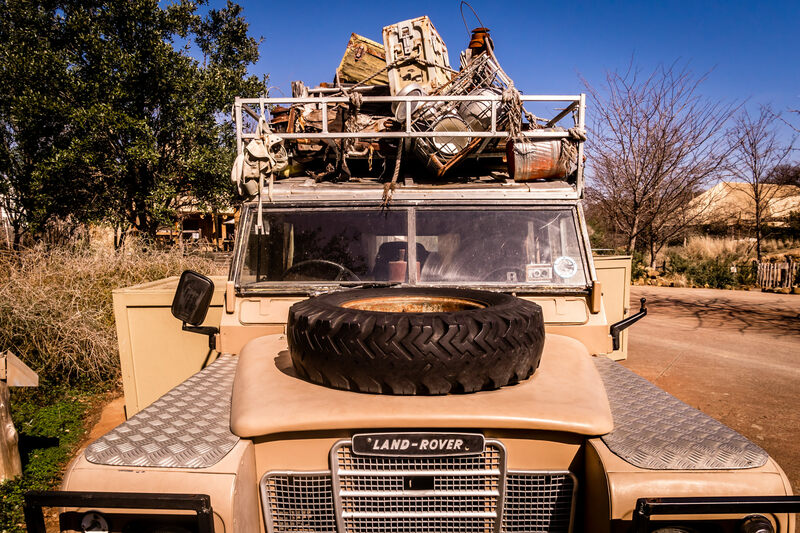 A classic Land Rover seemingly loaded with provisions adds ambiance to the Africa section of the Dallas Zoo. 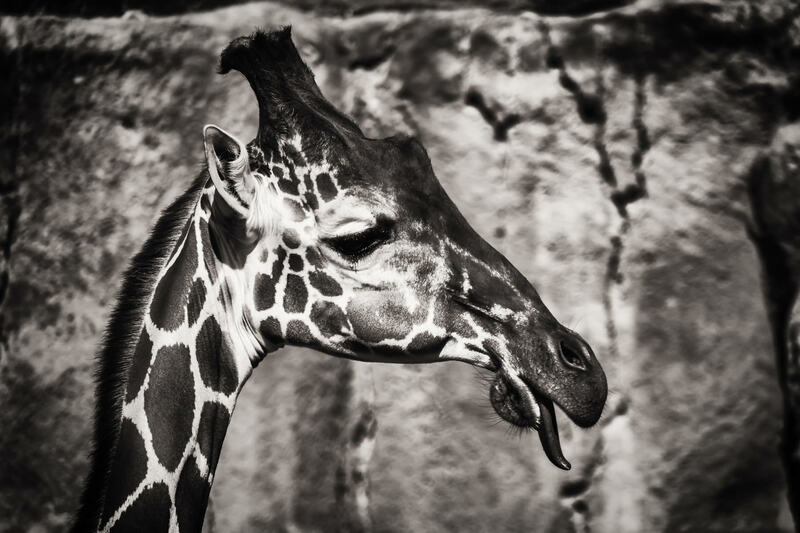 A giraffe sticks out his tongue at the Dallas Zoo. 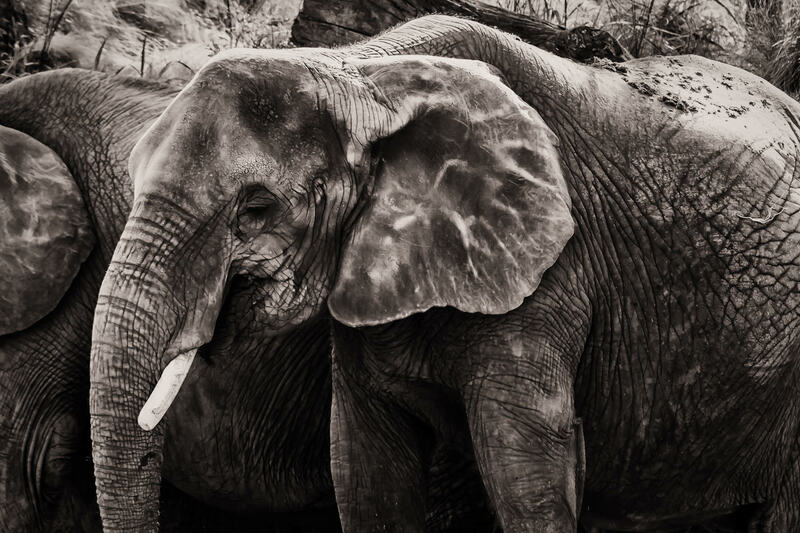 An elephant stands amongst his peers at the Dallas Zoo. 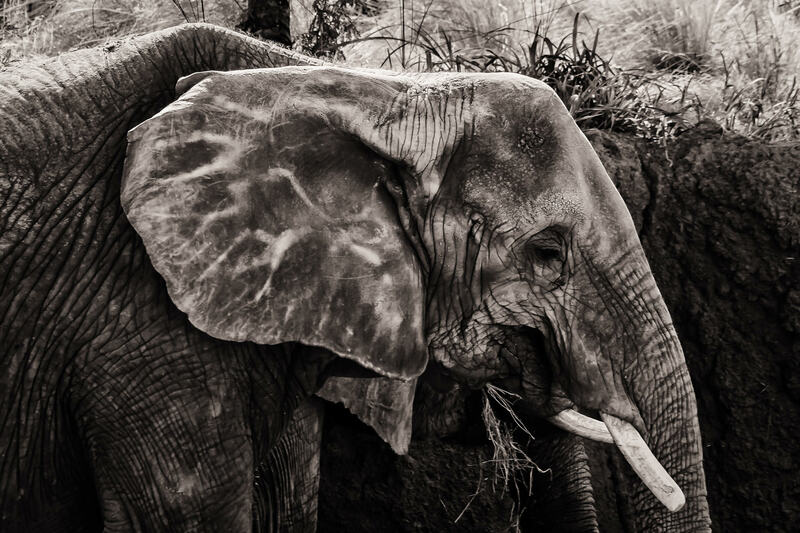 An elephant rests in his habitat at the Dallas Zoo. 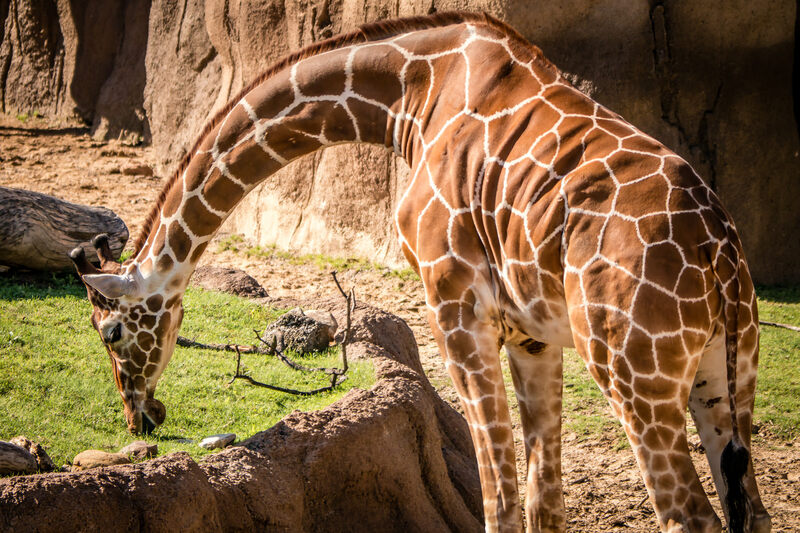 A giraffe at the Dallas Zoo enjoys a grassy treat. 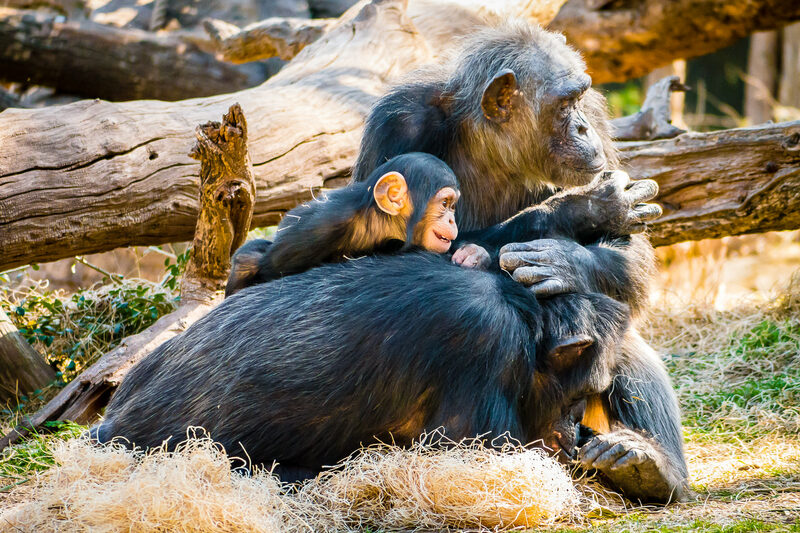 A family of chimpanzees at the Dallas Zoo. 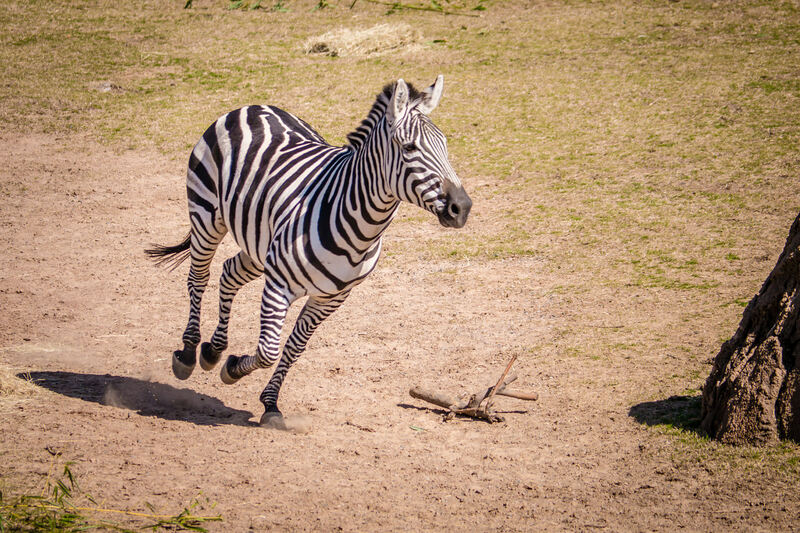 A zebra at the Dallas Zoo runs through his habitat. 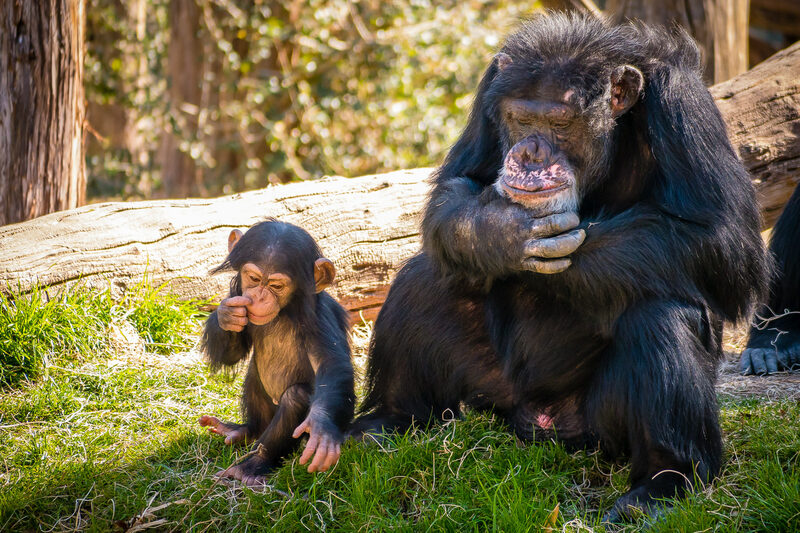 Two generations of a chimpanzee family at the Dallas Zoo. 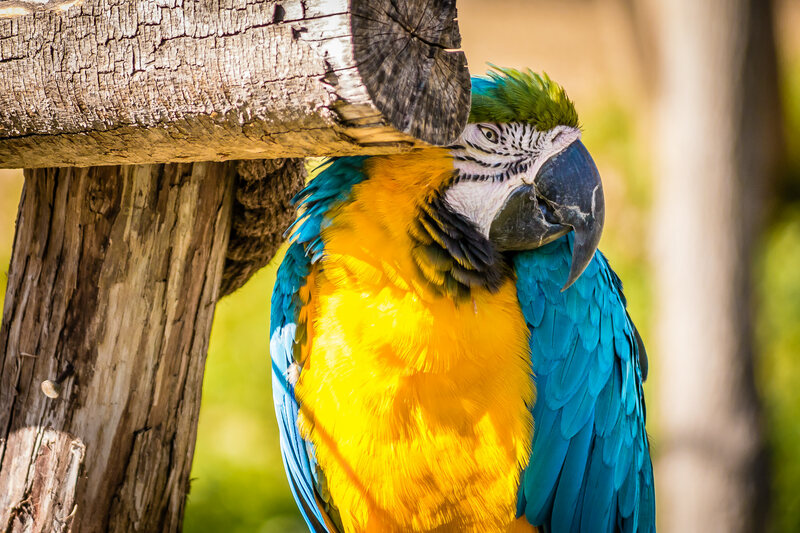 A blue-and-yellow macaw shyly hides behind a perch in his habitat at the Dallas Zoo. 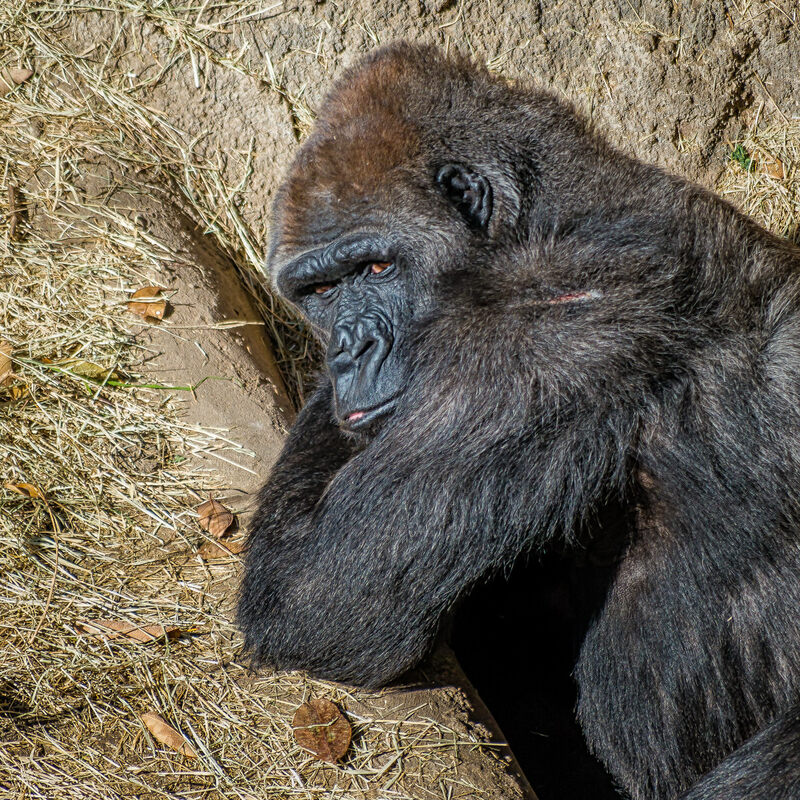 A gorilla at the Dallas Zoo seems to resent having his photo taken.